A tie between the Moon in Virgo and nebulous Neptune suggests we may be more sensitive to energies and vibrations. With the Moon in Virgo linking to sociable Venus and also the jovial Jupiter, your confidence can be high. This can encourage you to connect with people who can help you accomplish your aims. They may have influence or offer to pool their skills and resources, making it much more interesting to have them on board. You may be able to accomplish so much more as a result. The days ahead can have a more relaxed and indulgent appeal, bringing a chance to take life at an easier pace, especially after last week's more intense influences. If you have decisions to make, then a developing tie between sobering Saturn and innovative Uranus can be helpful in this regard. Opportunities to research ideas and uncover fresh perspectives can invigorate you. You may feel like starting the week by taking a closer look at your diet and making some improvements. 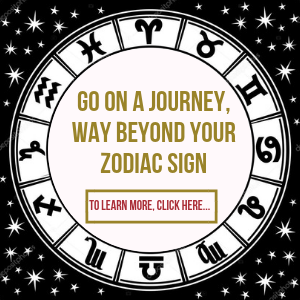 If you have been inclined to indulge, then a tie between the Moon in your home zone and jovial Jupiter in your lifestyle sector, can be a call to consider why this might be. With the Moon in practical Virgo, you could find it easier to zero in on the root cause and deal with it. A very heart-warming blend of energies can encourage you to approach an issue with sensitivity and gentleness. It may be that a friend needs someone to talk to, especially if they are going through a difficult time. Present influences can see you taking them under your wing and helping them feel better. Just taking them out for a coffee could also turn things around for them. While there may be many things you want to accomplish, the presence of the Sun, your guide planet, in a secluded sector until the end of the week, suggests waiting a while longer. Once it moves into your sign it will be time to take those projects off the backburner and put them into action. In addition, with four planets in their rewind phase, it just doesn't pay to rush. 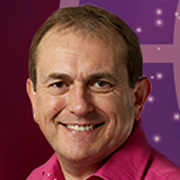 The Moon's link with lovely Venus in your sign, can light up your prospects, as you can appear an attractive and charming person that others will likely want to engage with. Add to this a link to the upbeat vibe of Jupiter, and the day ahead can bring opportunities to further your interests and to make new friends along the way. In fact, the coming days can be delightful in so many ways. This can be a day to trust your intuition and to act on it. If you do, you could gain something of value that might prove beneficial or even lucrative by the end of the week. And while the voice of common sense is also worth paying attention to, you'll likely know you are onto a good thing because it feels right deep down. Still, your horoscope suggests that researching the details can ease any minor worries. A social event can prove surprisingly pleasant and upbeat, even if you didn't expect it to. And this trend could continue over the days ahead, ringing in more of the feel-good factor. At the same time, the presence of lively Uranus in your relationship zone, could bring all kinds of interesting people your way who may open the doors to new activities and interests Scorpio. After last week's potent Partial Eclipse, you may feel like stepping back this week, if only to give yourself a chance to think about your next moves. Regarding your goals and plans though, you may find that making a good impression isn't too difficult if you can tune into instincts and follow through. It's really question of linking to the right person and getting them to listen. It can be helpful to set realistic goals for the coming days rather than attempt to run ahead of yourself. You may have a lot on your plate, but the stellar backdrop encourages you to be easier on yourself and make time out for fun and enjoyment. If there is an evening of presentations or a talk about subjects of real interest to you, you could learn something that is to your advantage. There can be a fine line between indulging your tastes and investing money in something that might have future benefits. This could be your dilemma over coming days and over the course of the coming week or so. 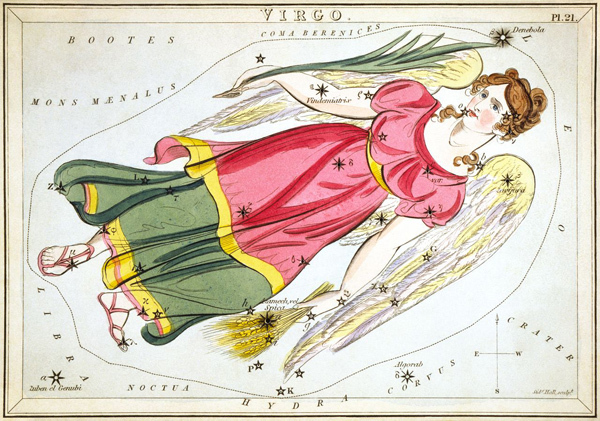 However, with the Moon and beneficial Venus in Virgo, it might be helpful to look at the costs, as you could get more for your money if you play your astral cards right. While you might like to be helpful where possible, the coming days could see you doing more than your fair share, and it may be because you really don't want to let someone down. Even so, cosmic forces suggest being good to yourself as well as others, as you likely have your own plans and commitments that need attention, and they won't get done unless you make a start.